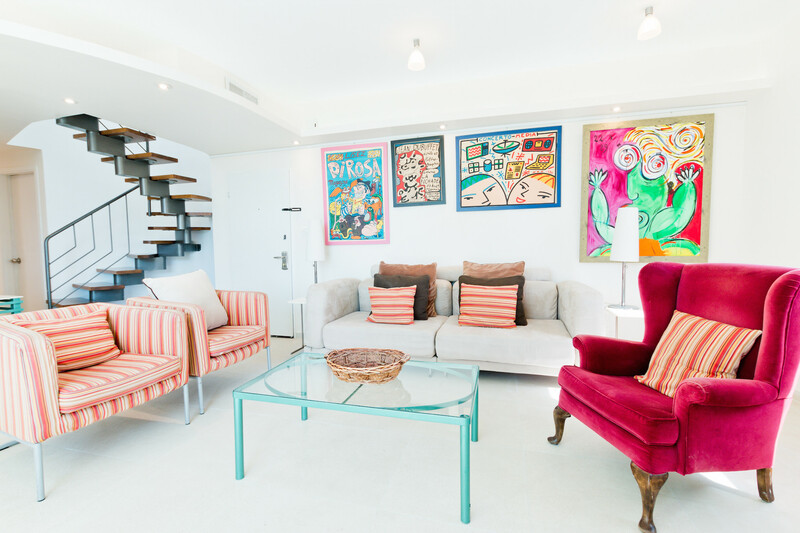 Incredible penthouse with a beautiful sea view. 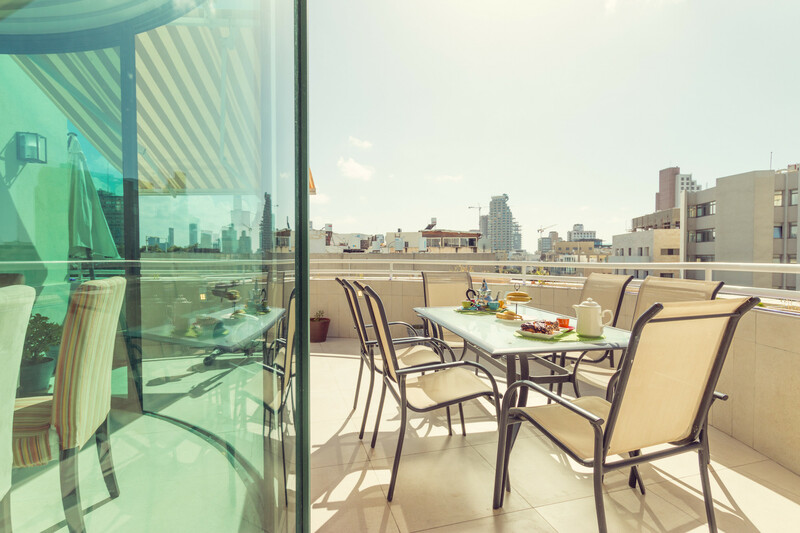 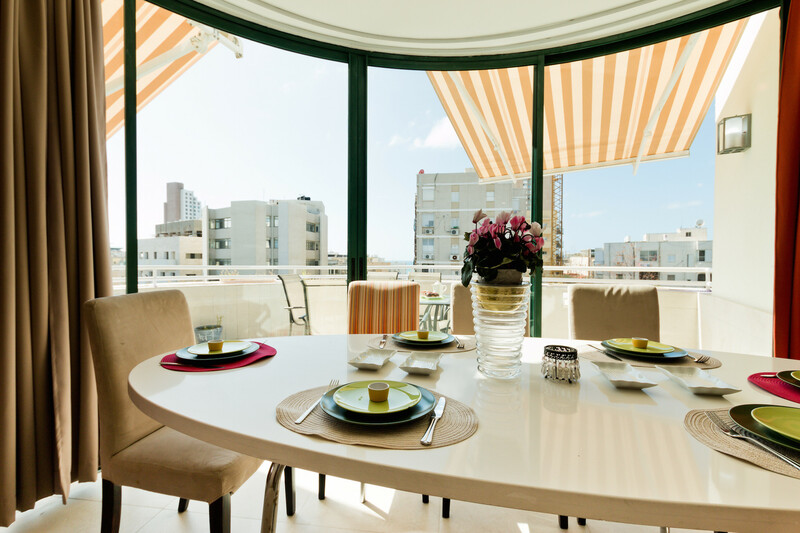 Marvellously located between the central and colourful Ben Yehuda and Frishman streets, where some of the city's best eateries accompany you down the trail towards Tel Aviv sandy and sunny beaches. 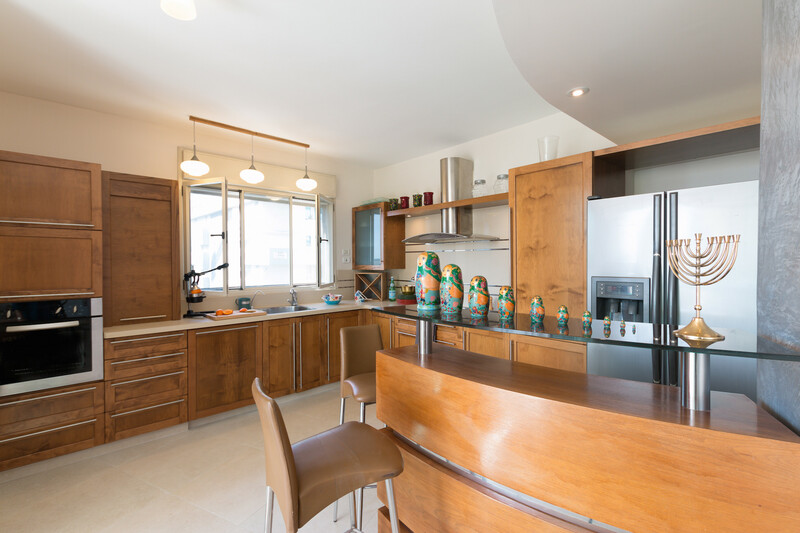 This is a modernly designed unique 3 bedroom apartment with all necessities and even more. 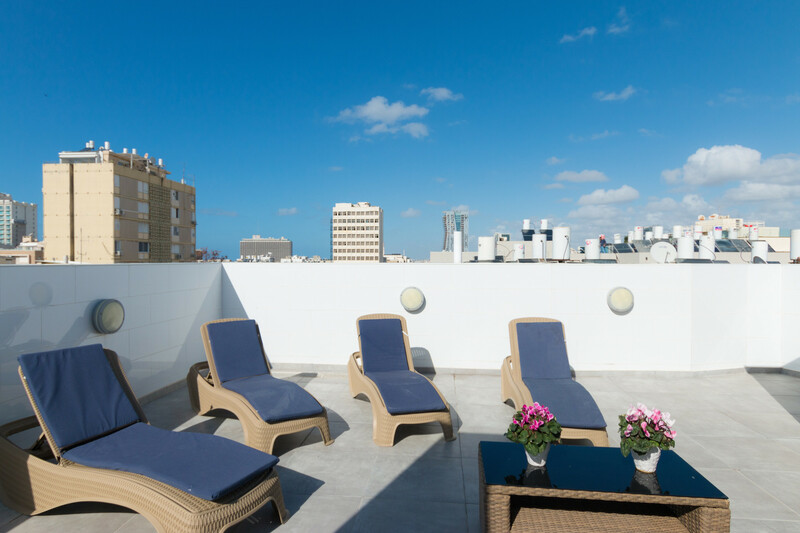 Enjoy the breeze on the large terrace with the city at your doorstep. 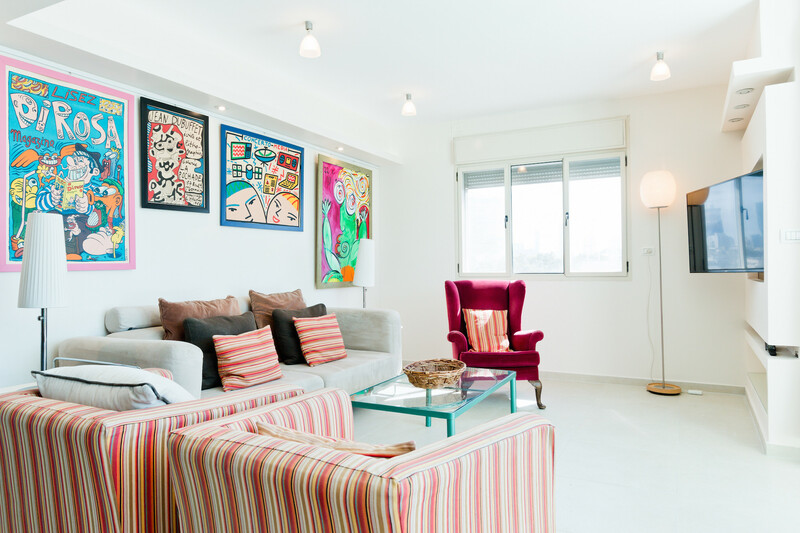 Luminous modern apartment in the heart of Tel Aviv. 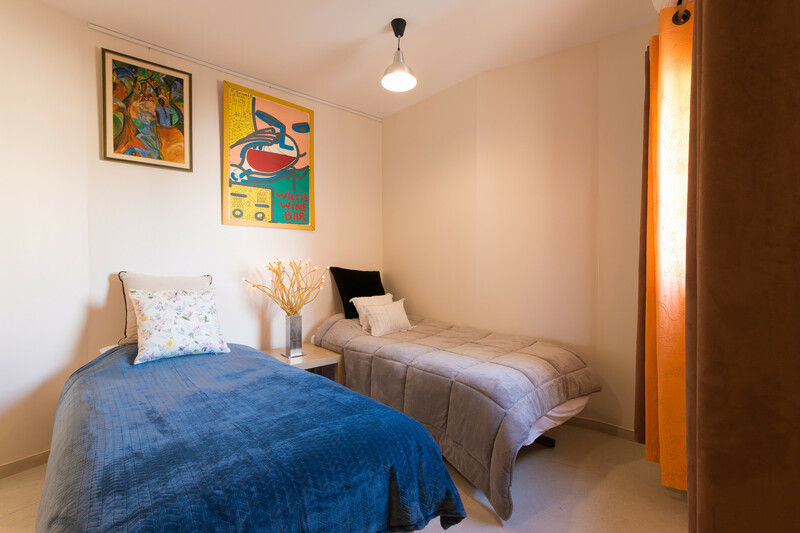 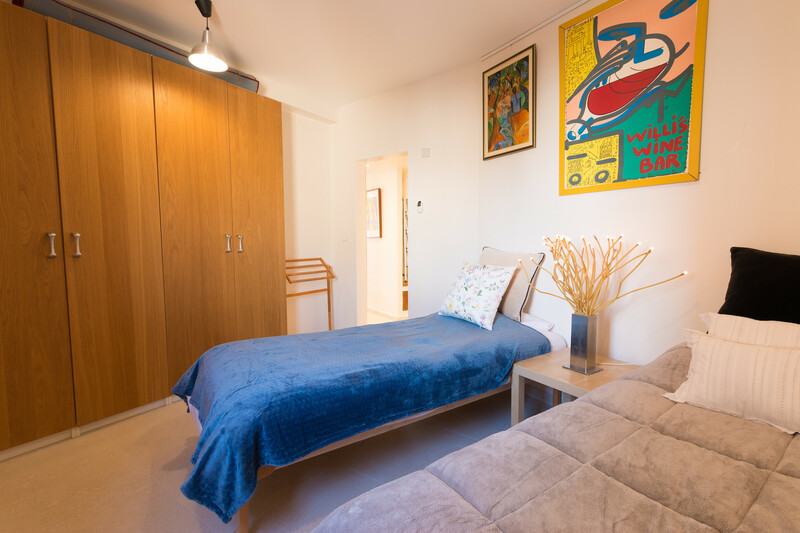 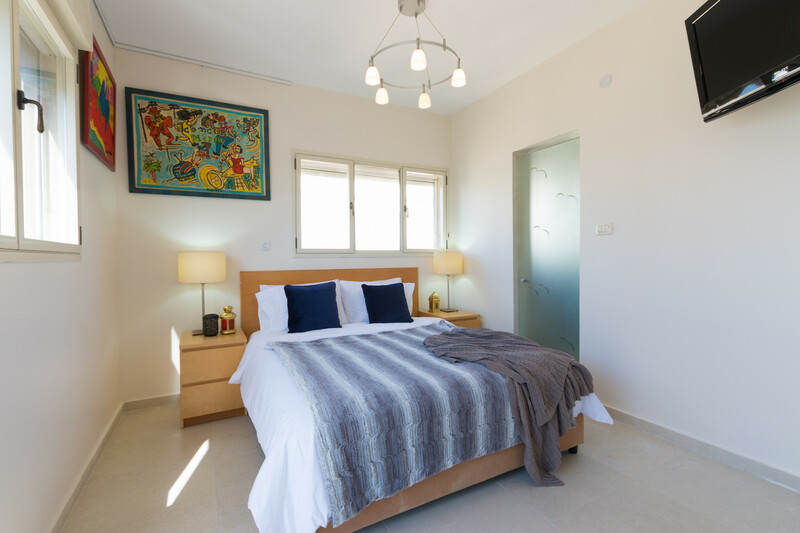 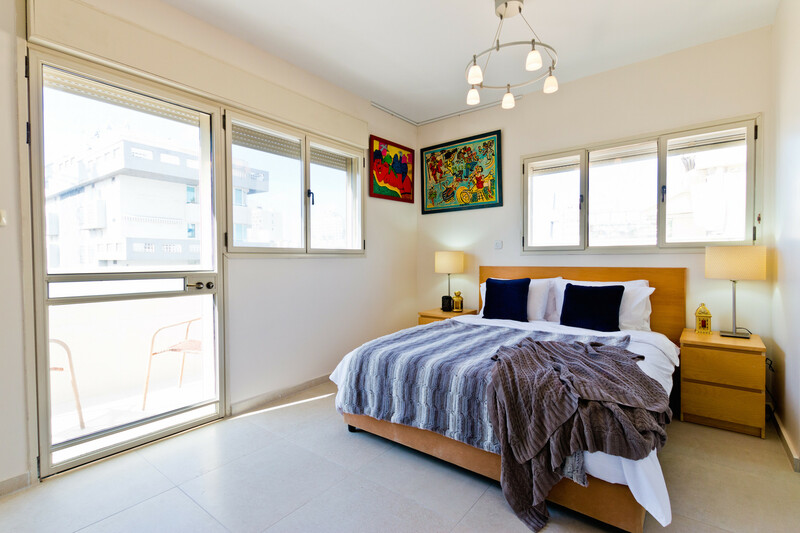 3 spacious bedrooms with double bed, 2 single beds, a sofa-bed and big closets for your comfort and convenience. 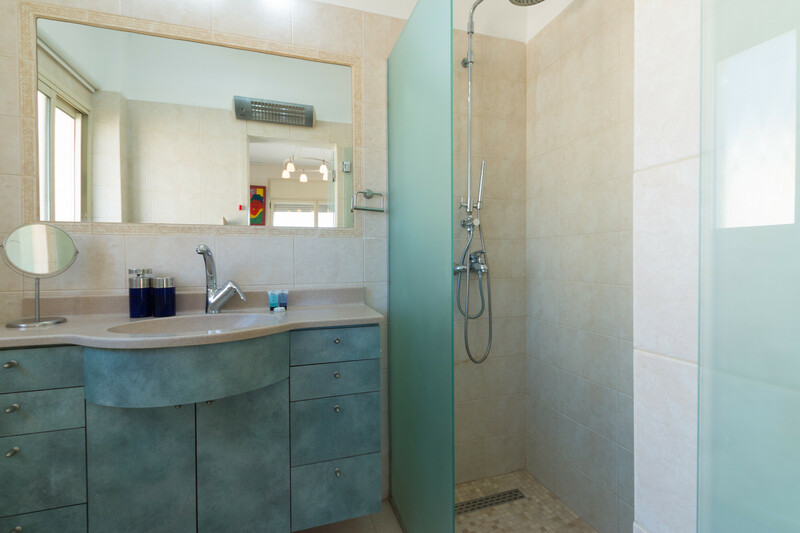 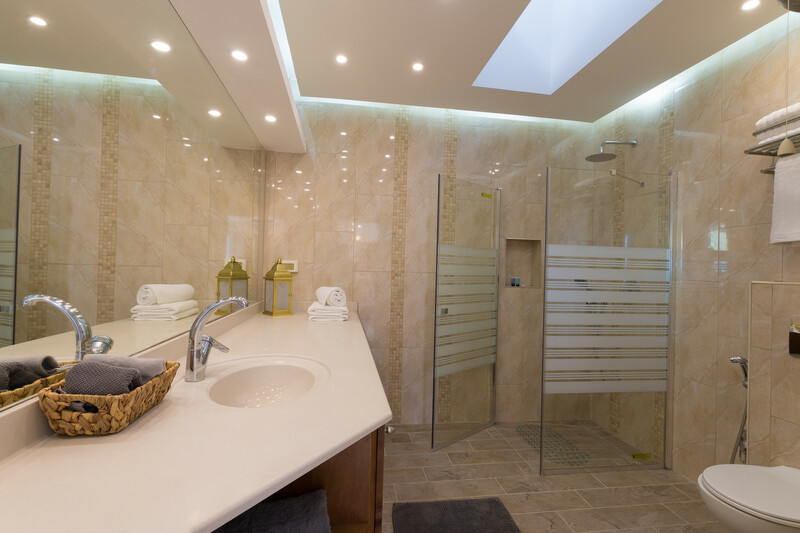 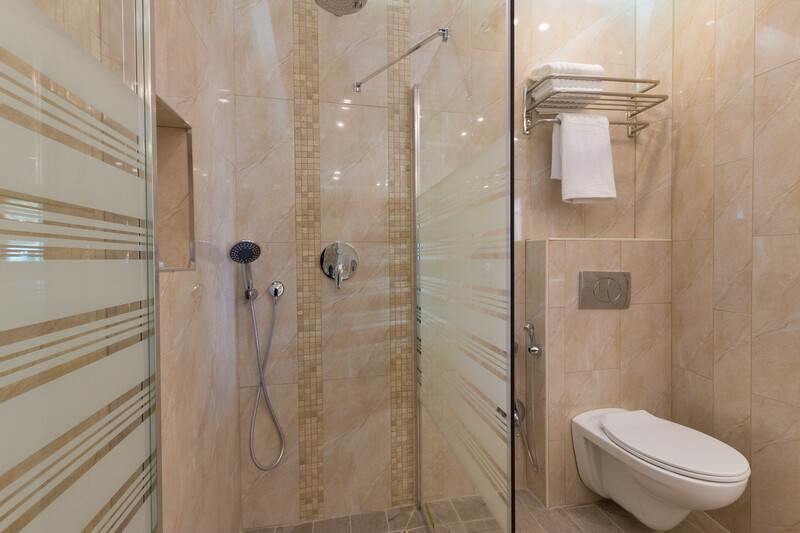 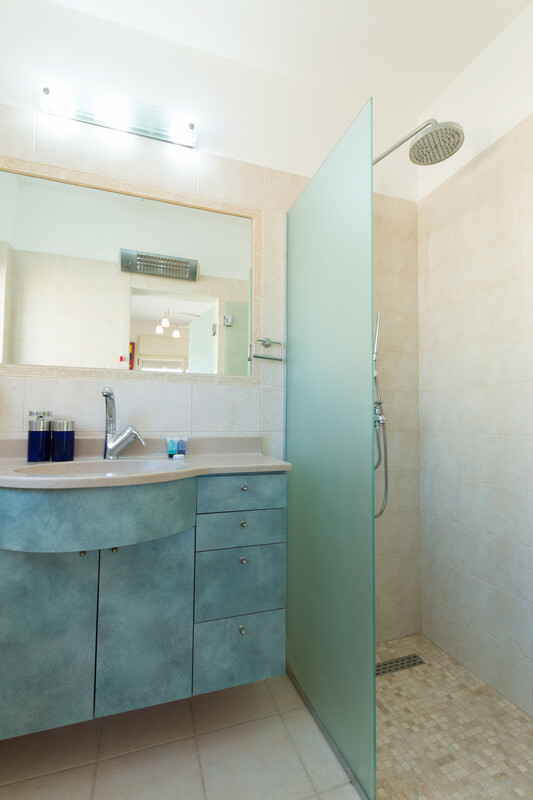 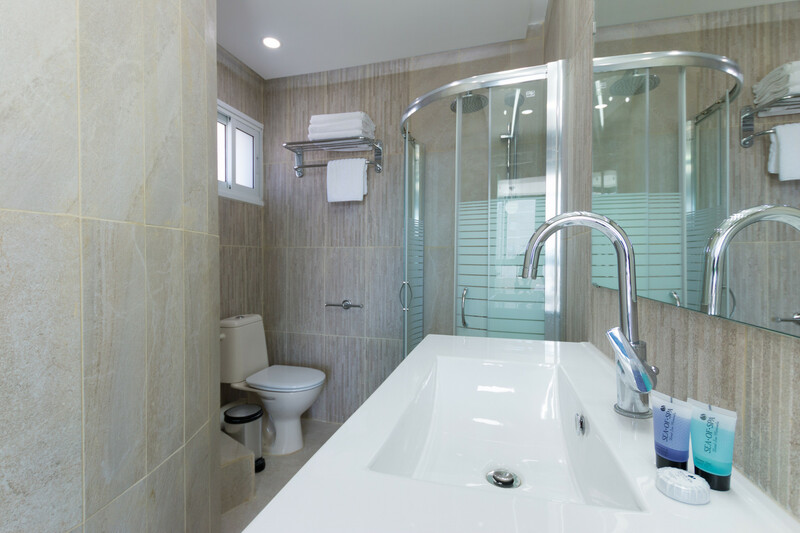 3 modern bathrooms for a pampering shower, including a washing machine. 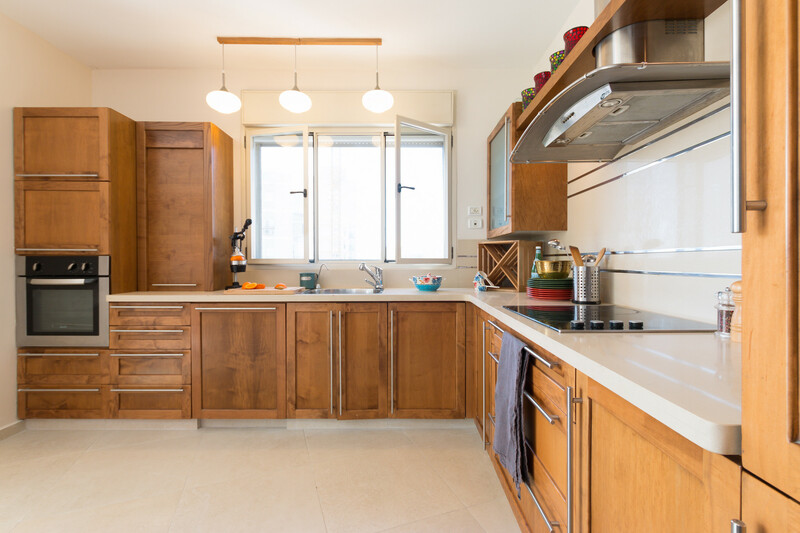 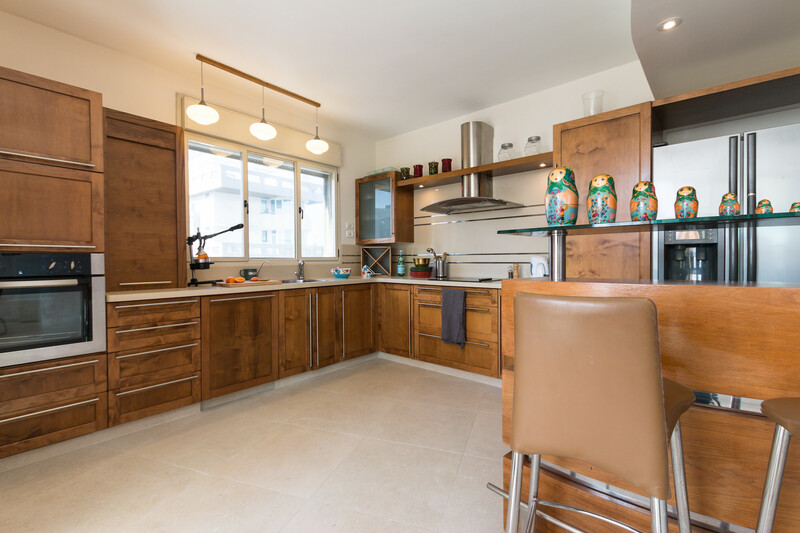 Fully equipped kitchen with everything that you need to prepare a tasty meal. 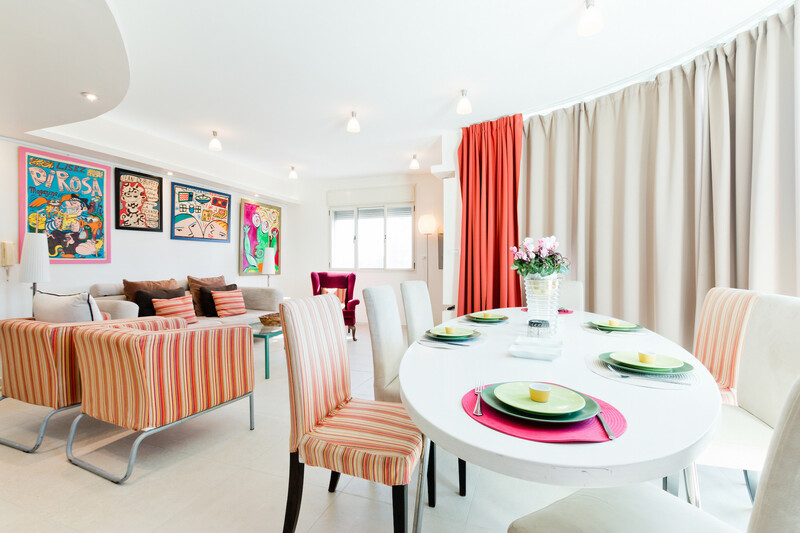 Bright living room with a comfy couch, TV and gorgeous dining area. 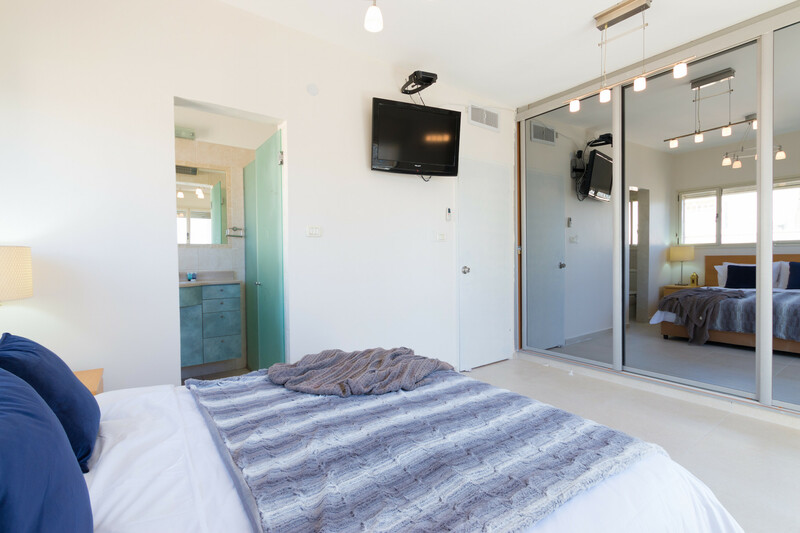 And of course, WiFi and centralized A/C. 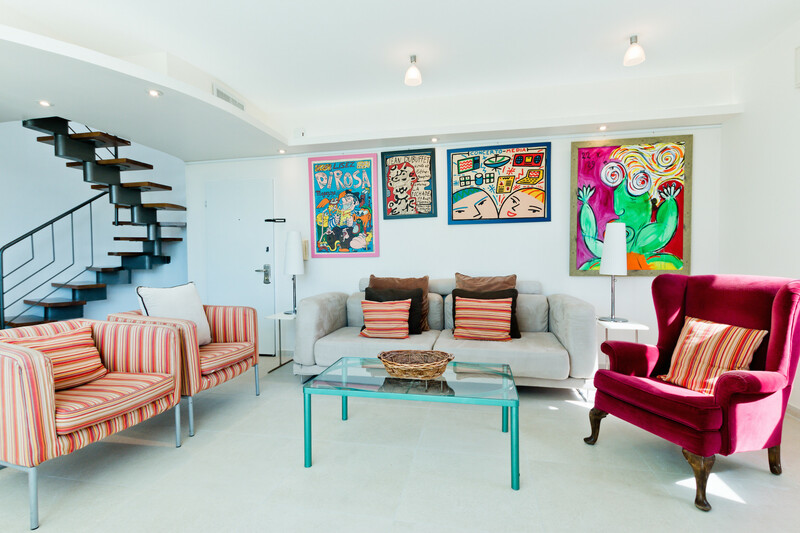 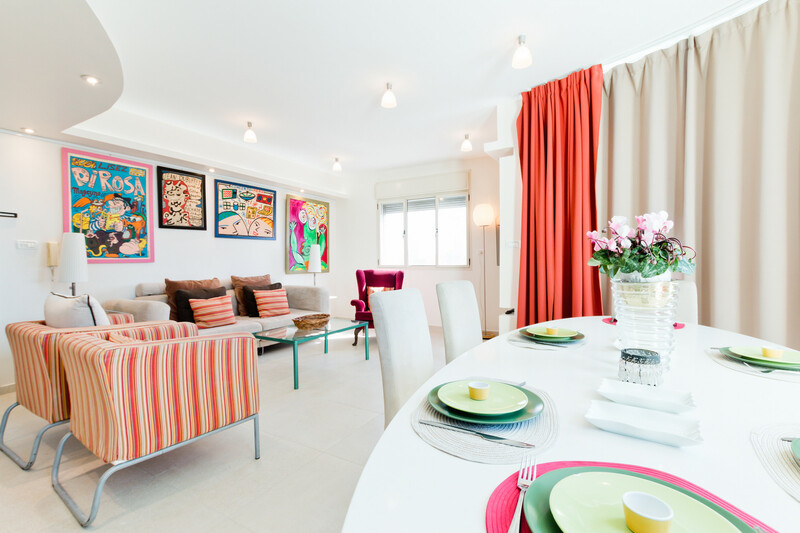 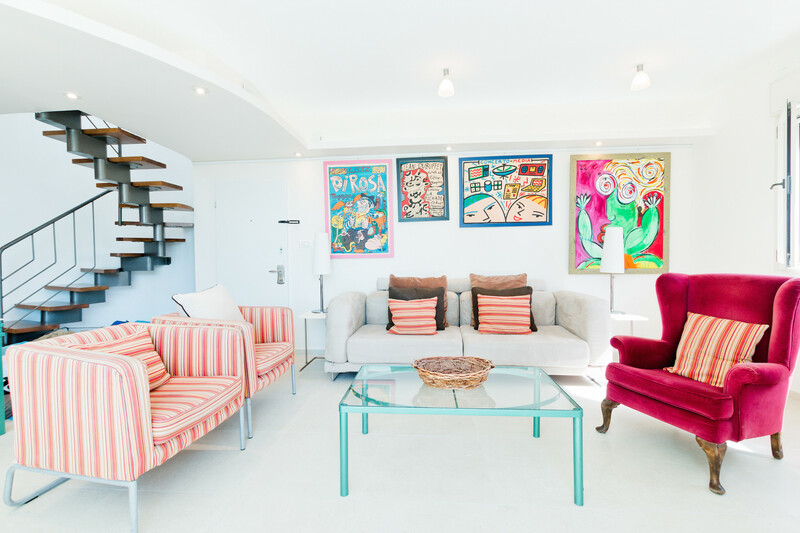 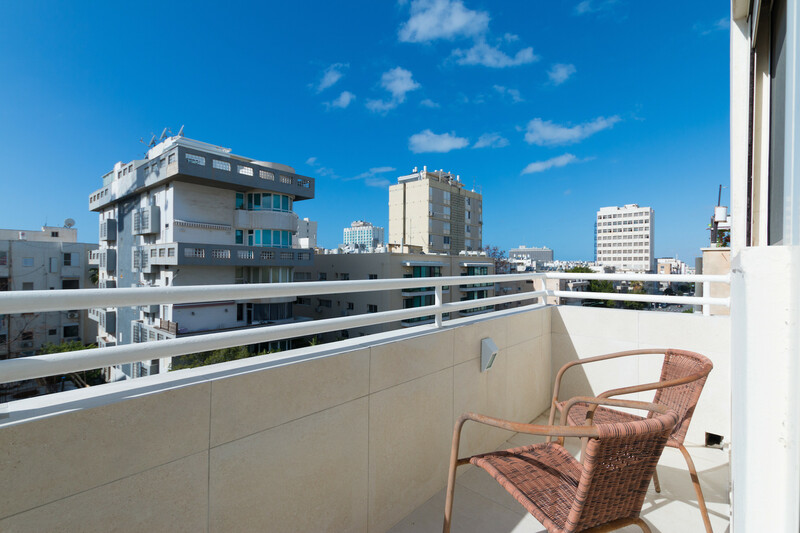 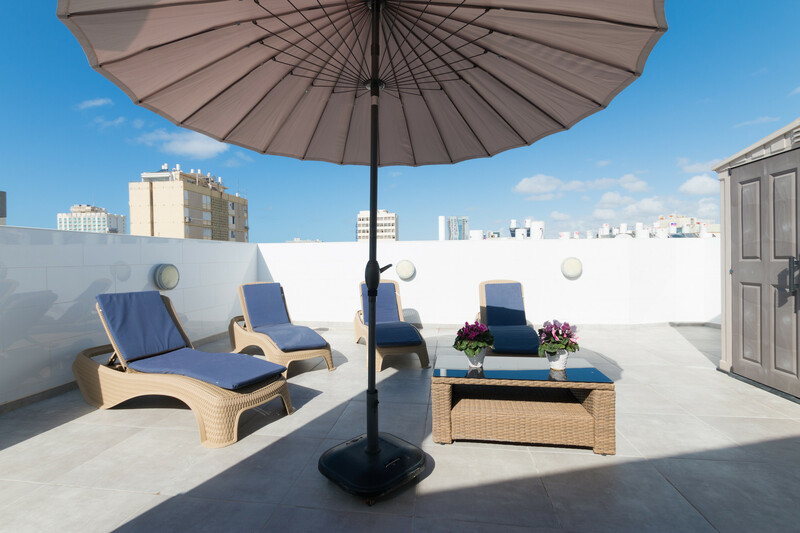 The apartment has 2 giant furnished terraces with a sea view and a balcony where you can enjoy the breeze. 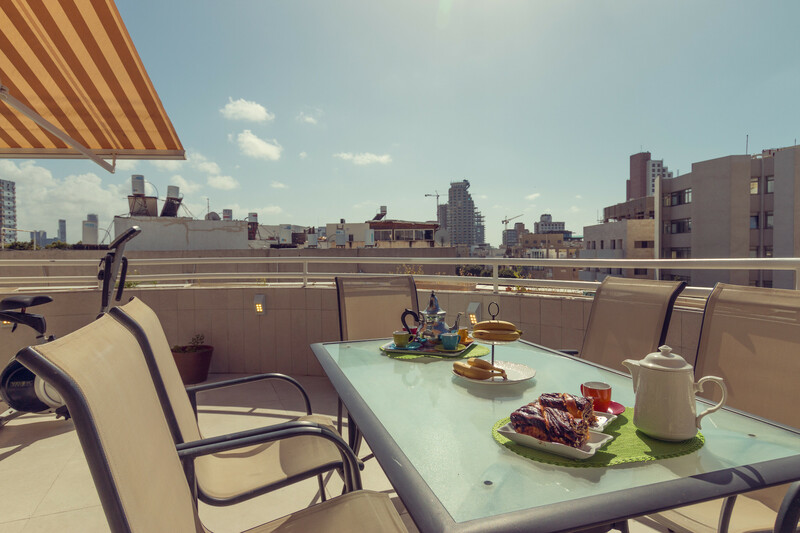 2 minutes from the beach! 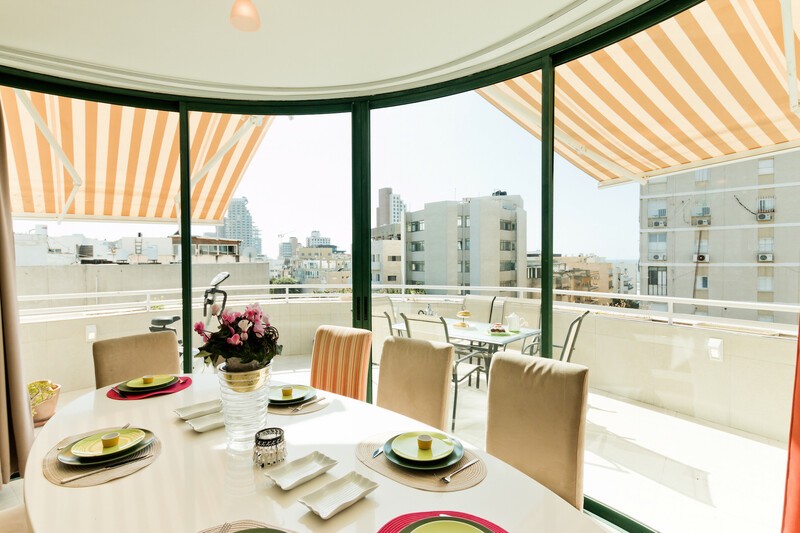 Tucked away on a quiet street, less than a minute’s walk from the ‘Tayelet’ (Promenade) that stretches along the Mediterranean, from the magical stone alleys of ancient Jaffa in the South to the contemporary coastal restaurants, beach bars and boutiques of the new port in the North, we are located right in the center of all the action! 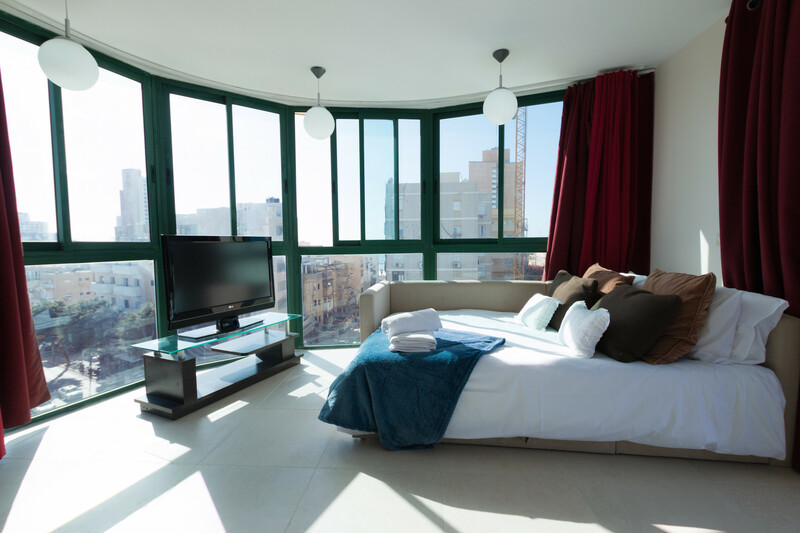 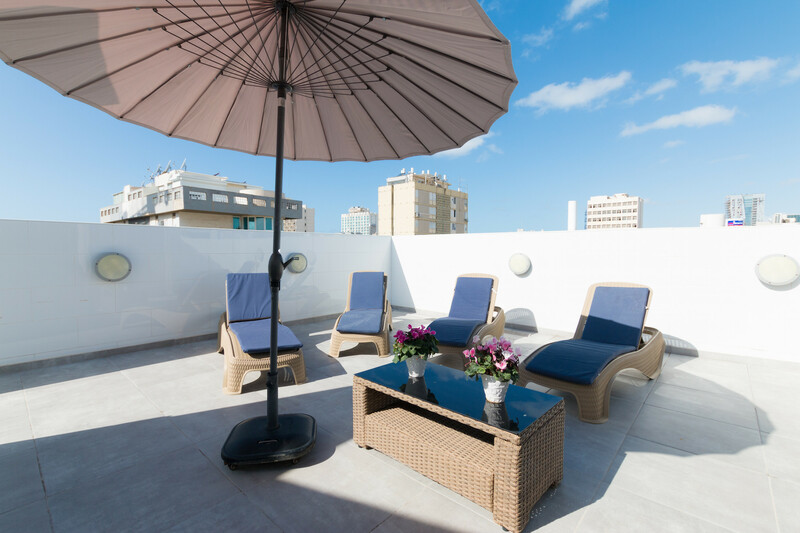 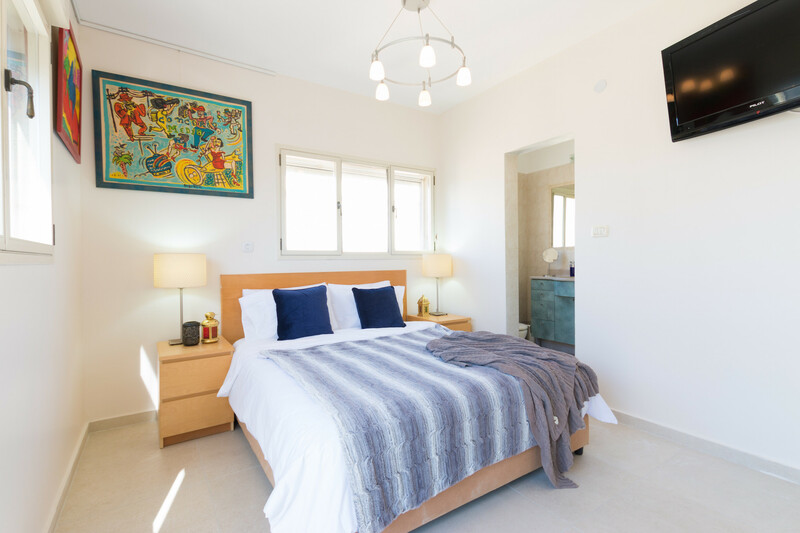 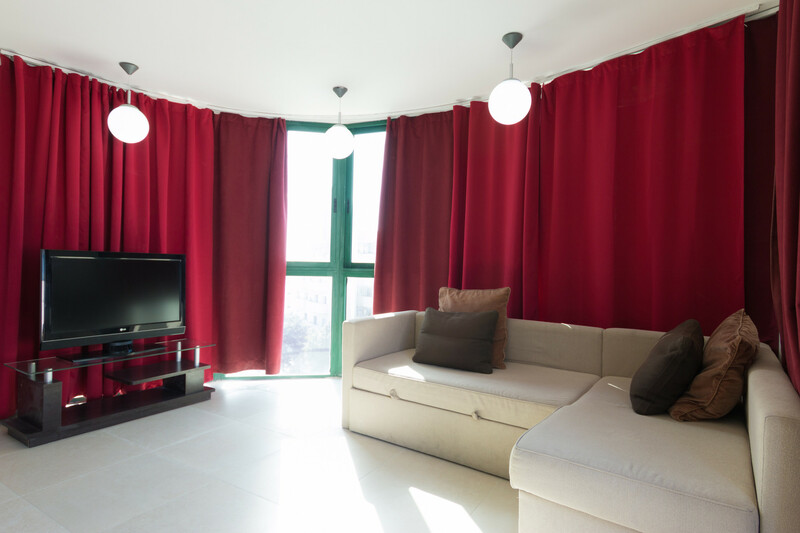 2 TVs, TV Satellite, 4rd floor, lift, garden furniture, 45 m² terrace, iron, internet (Wi-Fi), hair dryer, balcony, 120 m² property, central heating, air-conditioned.